BC Jean and Mark Ballas at The Charmin Restrooms in Times Square on Dec. 19, 2017. 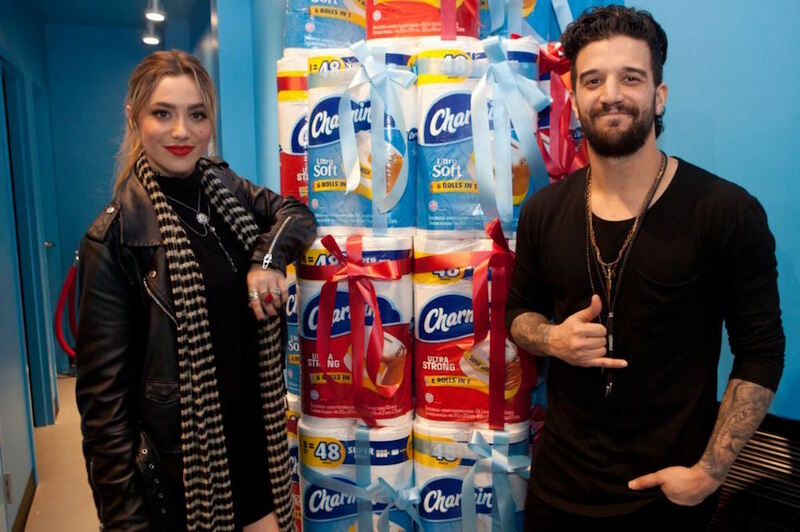 Mark Ballas and BC Jean were staying in New York a mere 10 hours when they flew in from the West Coast to perform at Charmin Restrooms in Times Square Tuesday. The married couple, who makes up the indie duo Alexander Jean, was in familiar territory—they lived in the area for six months last year as Ballas played the final Frankie Valli in Jersey Boys on Broadway. One of Charmin Restrooms’ 14 themed stalls (open to the public until Dec. 24) would’ve come in handy back then. “I would walk this stretch every day. I would walk from 42nd all the way up to 52nd and there was a couple of days where I had to go to the bathroom,” joked Mark, best known as one of the pros on ABC’s Dancing with the Stars. Moments later, Mark grabbed his guitar and stepped onto a small stage with BC for a 30-minute set. The talented duo performed their new Christmas single, “We Three Kings,” featuring friend and American Idol alum Casey Abrams. They also belted songs from their two EPs—2016’s Head High and 2017’s High Enough. Both went to No. 1 on the iTunes Singer/Songwriter chart. It doesn’t take long to detect their onstage chemistry and become captivated by their vocals and BC’s strong stage presence. The couple, who met at a friend’s music charity event in 2012 and wed in 2016, spoke about their upcoming music and living out their musical dreams together. Mark: We are. We are just finishing up our tour [with Lindsey Stirling]. We’ve been on the tour for two months now; we’ve got like five shows left. We’ve played some amazing venues—beautiful theaters and some small arenas. The feedback and the fans have been incredible and very welcoming to us. During this whole time, we’ve been collecting bits and pieces and writing new materials for EP three. When this is over, we are going to do Christmas, we are trying to plan a honeymoon—we still haven’t gone yet—and then we’ll be diving straight into EP three. BC: We are really excited about it because when Mark was finishing this season [of Dancing with the Stars], I built a home studio for us in one of our guest rooms. “We Three Kings,” our holiday single, is the first and only song that we’ve recorded in our home studio. We are planning to do the whole [EP three] there. How did “We Three Kings” come about? BC: We wanted to do a whole Christmas album but time got taken away really quick from all the work. We decided to focus on at least one this year. Mark: I love that song. It was one I grew up singing in church in choir. It was kind of a classic that we would do. One time when I was a kid I actually had a solo in the choir; it’s the same verse I have in this. It’s a classic, but it’s one I feel falls in the shadows next to like “Silent Night” and “O Holy Night.” It’s so earthy and the melody is really cool. BC: We knew we could kind of throw our Alexander Jean twist on it and make it something that can be enjoyed all year round, but still have that holiday spirit inside of it. How does the music making process usually happen for you two? Mark: It’s very organic. I’m a flamenco guitar player first, so with that style, it’s constant practice and keeping your hands sharp. I’m writing new riffs and ideas on the guitar a lot. That’s usually where it will start. BC: I save lots of lyrics, poems, voice notes and melodies, concepts and song titles. Sometimes it’s like piecing a puzzle together. I’m like, “Oh with that riff, this could be cool with this.” It’s usually a natural thing though. I’ll be cooking or in the shower and he’ll be playing and then he’ll hear something I’m singing. If he likes it, he’ll start recording me and then we kind of take it from there and start piecing the puzzle together. Mark: It’s usually when we don’t try to write something, something good happens. BC: We get to do what we love with the one we love. That’s so cool. I think a lot of people wouldn’t want that, but for us, we balance each other out. We get to have fun with our best friend. He loves my voice and I love his voice and we blend really well together. We bring two opposite things to the table. 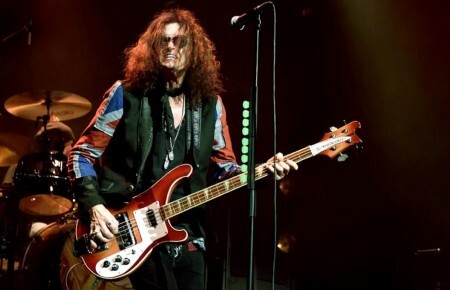 When was the moment you realized you had something special and could form this band? BC: We didn’t even write a song together until a year and half into dating. We were both just so busy with our solo stuff, we didn’t really think about it. I ended up writing some stuff on one of his EPs and then after writing our first song together, we were like let’s make it a date night. We knew we had something special and different and we took it to the studio. Over time it just naturally formed. 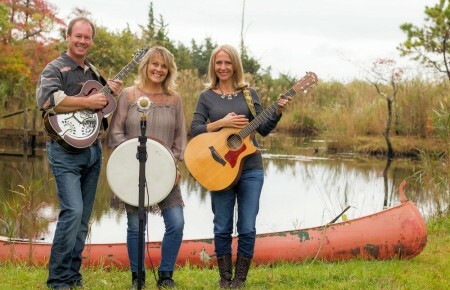 We just kept writing songs and we decided to use our middle names—Mark Alexander, BC Jean—and boom we are a band. Mark: What’s cool too is that we are completely independent. We’ve done this completely by ourselves. We do this because we love it and the response has been amazing. If you could choose one of your songs to describe your relationship, which would it be? BC: “Roses and Violets.” That was our first single.